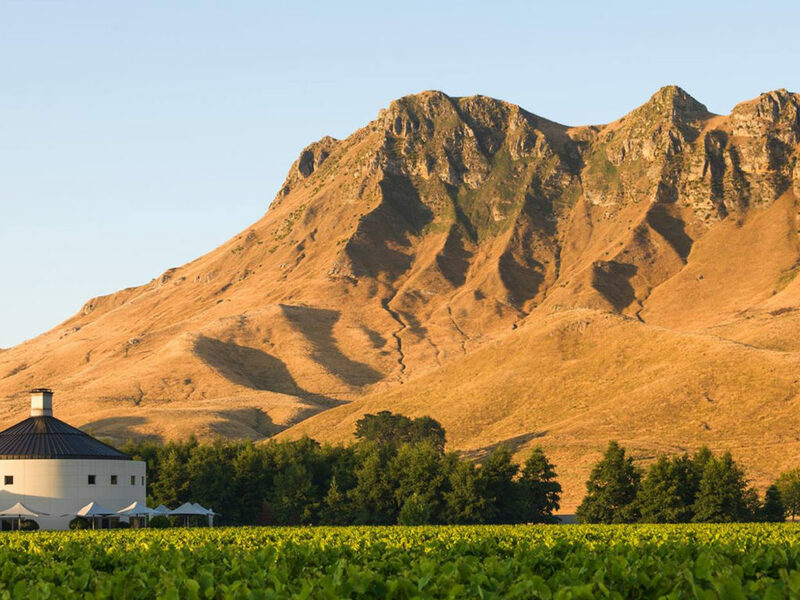 New Zealand has a long history of wine growing, dating back a century to the arrival of vintners as immigrants from central Europe and there are a number of places where one may both fly fish and taste some of the country's great wines. Two stand-out areas are Central Otago (South Island) and Hawke's Bay (North Island). Each afford anglers the chance to follow these passions more deeply and provide an experience that can not be replicated. Seamlessly integrating these passions can be part of the service that our team provides. From private tastings and meet-the-winemaker opportunities to guided rides through wine country, we have the experience to ensure your time is well spent. With a tradition dating back to the 1850s this region has earned a well-deserved reputation for producing excellent wines. And although located near the Pacific, a warm climate allows for a long growing season and successful cultivation for a range of grape varietals. Fly fishing from Hawke's Bay may center on access to any number of small spring fed high country streams to large fast flowing rivers and tributaries including the Mohaka, Ngaruroro, Tukituki and Waipawa. The area caters to all levels of experience and for the more avid angler, with eyes on access to remote wilderness, heli services are readily available. This area is special because it is not overly crowded and affords the ability to fly fish throughout the day and then return to the comfort of accommodations based in the middle of a winery. If only a few anglers are keen to fish in a group, the guide will meet and provide round-trip transportation for the day. This allows others in the party to partake in the area's well-established wine tourism offerings- providing a variety of cellar door experiences and access to artisan producers. Central Otago is the tourism stronghold of the South Island for good reason. Queenstown and the surrounding area is captivating for its scenic beauty, excellent cellar door facilities and great fly fishing. Although wineries in this region produce very nice Chardonnay and Sauvignon Blanc wines, it is the Pinot Noir grape that garners much of the interest. Why? Growing the Pinot Noir grape, like casting to a trophy fish, is difficult. Both appear in low yields and afford little room for error. Perhaps that is why the appreciation of these efforts help one find the beauty of the end result. It means that much more. The challenge to growing the finicky (but sought after) grape is its sensitivity to fluctuations in temperature. Due to its thin skin the grape does well in cool climates... but may be burned easily by the sun. Growing grapes in these conditions is tough, but ideal in Central Otago. The challenge to sight casting to a large Brown or Rainbow is in playing to their "spooky" demeanor. If anglers are not practiced in their placement of the fly the fish will refuse, and one may as well work their way further up water. That's why they are referred to as trophies in the first place.